Although the official Artifact Twitter page lists the date for the game's beta period as "October," that timeframe is no longer accurate. Players who received access to the beta by going this year's International Dota 2 tournament have had the game added to their accounts, although it's not yet playable. The notice informing them they've received the game, however, indicates the beta is coming November 19 - nine days before the game is due to release, and nearly a month after the aforementioned "October" period. "We have a bit more work to do before letting everyone in," the notice says. This likely also applies to those who received a beta access code by going to PAX West earlier this year. 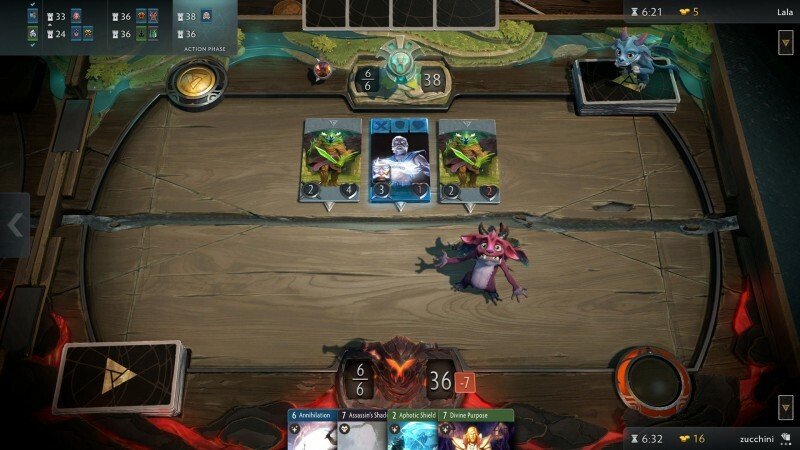 For more on Artifact, check out our initial breakdown and impressions of its gameplay and real-money economy, an interview with its creators, and more recent impressions from PAX.